Bold Design Moves To Light Up Your Decor! 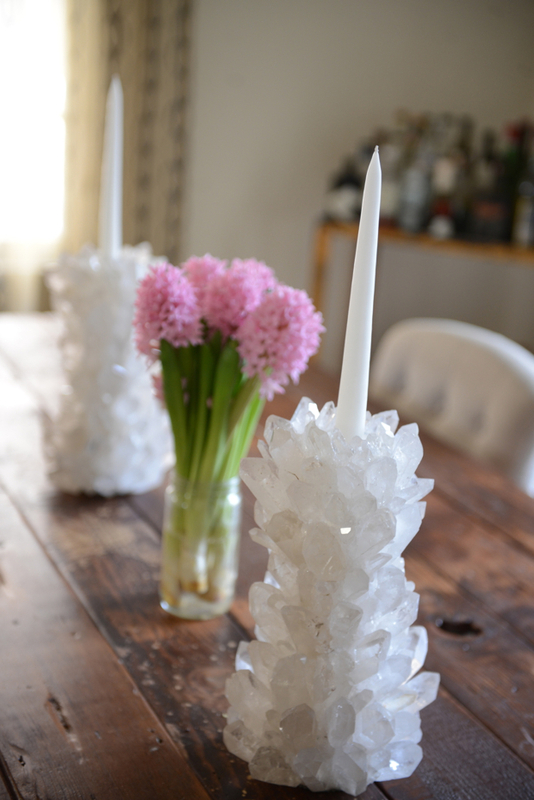 Sometimes you feel compelled to a big move in your decor in order to shake things up…and that instinct is a great one! 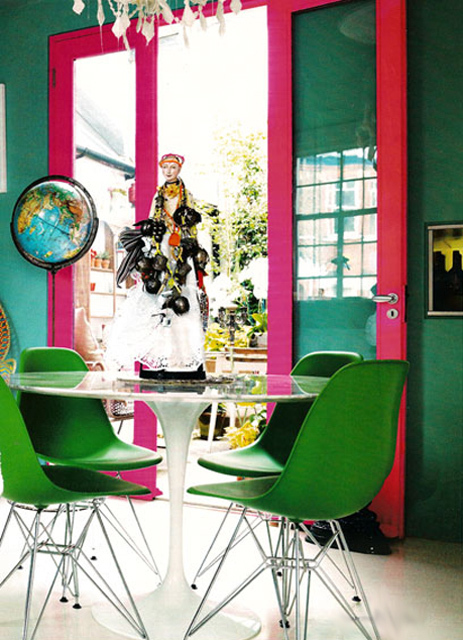 Painting a door in a wild color (as shown above) or adding giant art can take a space from meh to marvelous. Here is a little inspiration- both simple/temporary to the more permanent- to make a bold decor move that stirs up your feng shui life force in your house! 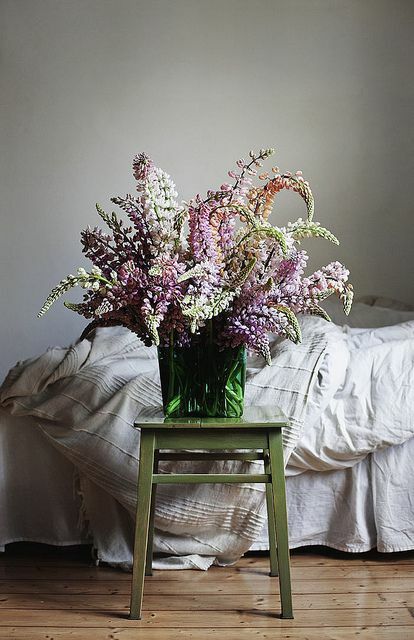 Massive flowers in any room are an instant wow-factor. Yes, they may be temporary, but sometimes you just need a little boost. I know I do! A flourish of flowers is going in my own bedroom this week! Monster-sized glittery goodies are always a good thing, and when they are crystal like the jaw-dropping candle holders above, all the better! 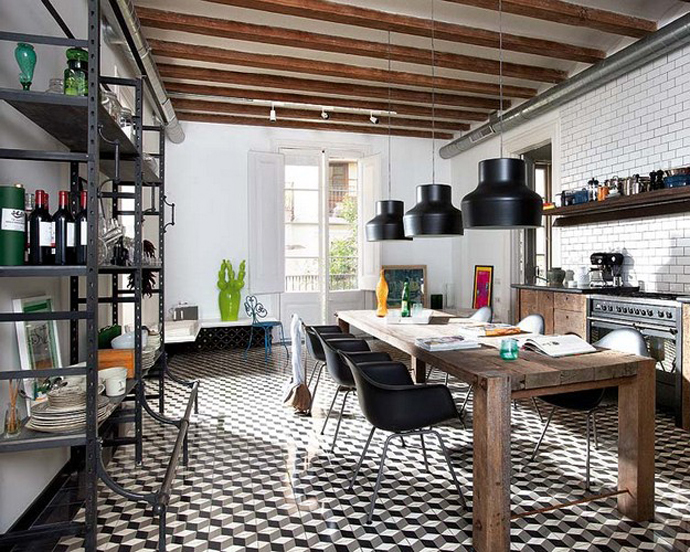 Tile on a floor can add immense amounts of dimension, texture and ineffable charm! 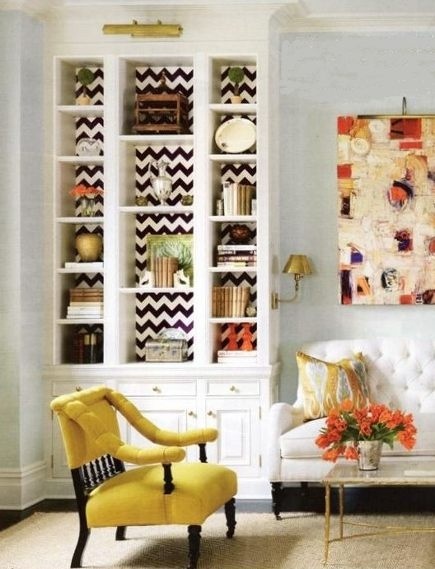 Wallpapering the back of a bookcase or armoire is a stunning way to add va-voom to a room. This is a DIY almost anyone can do, and if you use gorgeously patterned contact paper you can create wondrous effects without much skill needed! While I advocate small changes to produce big results, there are times that a big move is what you are craving. If you feel it, go for it- and go big! Previous post: Your Critics, Your Creativity And Your Happiness! Next post: Tássia Bianchini Blows My Mind!